This charming one-bedroom condo is both spacious and luxurious. 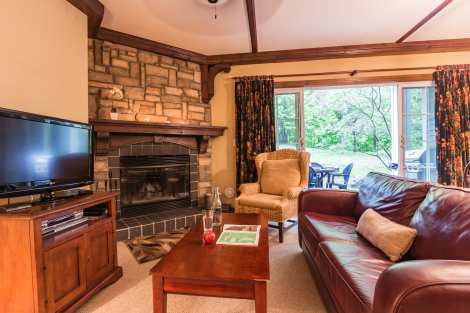 This welcoming spot has everything you need, just like home, for an enjoyable mountain stay. 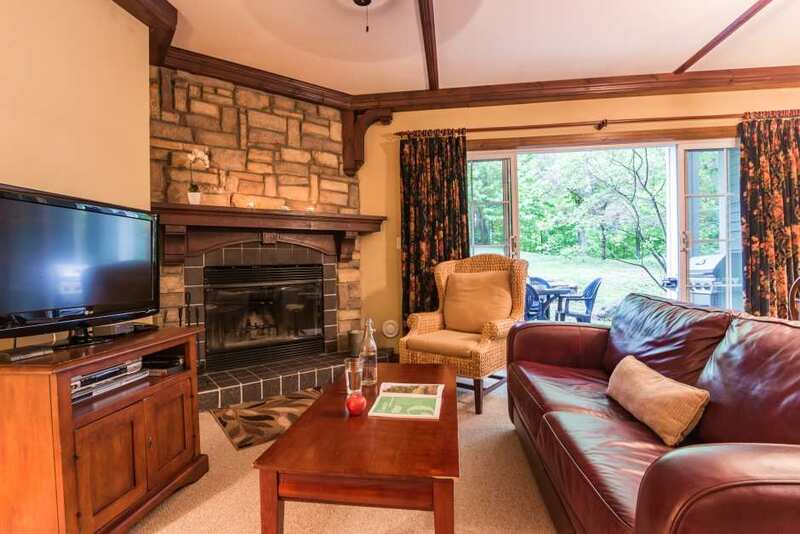 The living room features a stone-clad wood-burning fireplace and a large flat-screen TV with DVD player.A large sliding glass door brightens the main room and opens onto a patio in a natural setting. The well-equipped kitchen opens onto the dining room. The bedroom is peaceful and pleasant, and furnished with a king-size bed, dressers and a TV with cable. The bathroom features a whirlpool bath. Heated tile floors provide added comfort. Other conveniences offered to guests include wireless high-speed internet access and a compact sound system.